So the curtain has come down on the greatest sporting event on earth, the just concluded Rio Olympics 2016. Now would be the right time to put things into perspective about what transpired in Rio and ask the question – did big data analytics have a big part to play in the games, as well? We saw how Great Britain turned out to be a real Olympic superpower, coming in second after the biggest Olympic powerhouse, the United States. If you had an inside view of how the athletes from these two elite sporting nations train, then you would realize how far big data analytics is helping the young sportsmen and sportswomen from these nations clinch gold after gold without batting an eyelid. A whole community of Olympic professional trainers, physiotherapists, dietitians, medical personnel, talent trackers and even data scientists are working tirelessly around the clock and behind the scenes to bring Olympic glory to their respective nations. It is a whole lot of investment in terms of money, resources, time, talent and mind power that comes into play when it comes to Olympics. How exactly does big data help nations win Olympic gold and glory? Did you know that the British rowing team is the only team from this tiny island nation that has won gold consistently ever since 1984 for the country? Now this cannot be a coincidence or a game of chance, for sure. You would be surprised that the Great Britain rowing team is the one team that is investing the maximum time, energy and money on big data analytics. They have even partnered with Siemens and SAS to help them get things right with the help of data scientists! The best sports regimen, food, exercise, physiotherapy and medical attention is dictated as per big data analytics and as per the recommendations of data scientists. 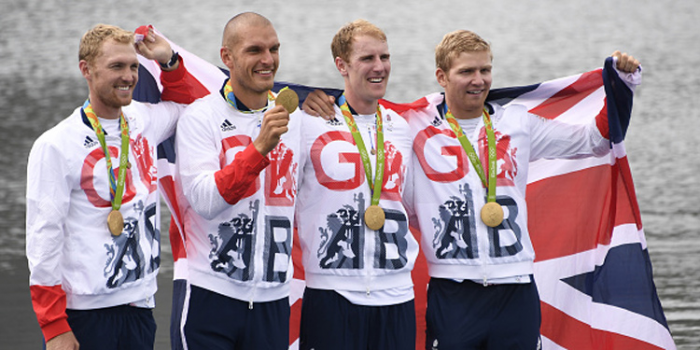 So it is no wonder that the British rowing team is the crowning glory of this great Olympic sporting nation. Now there is a serious lesson for countries trailing in Olympic standings – a country like India with a population of 1.25 billion taking home only one silver and one bronze medal. It’s time India start investing in some real big data and analytics strategies to help its young sportsmen and sportswomen bag gold for the country at least in the next Olympic Games at Tokyo 2020. Long live the Olympic glory for nations investing in big data analytics!